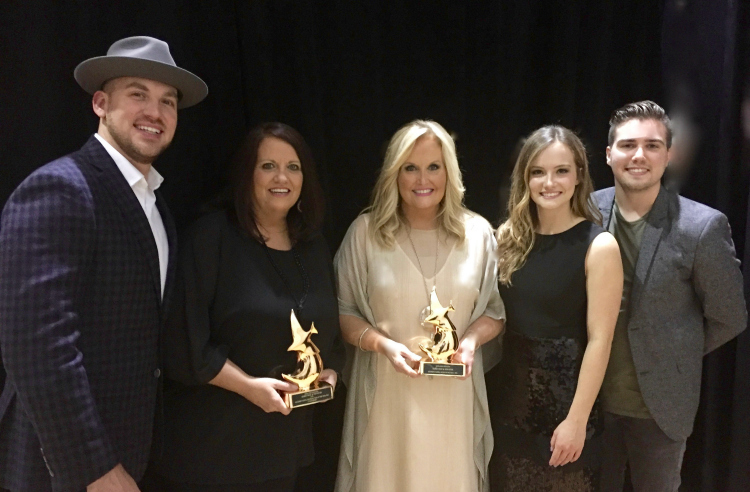 NASHVILLE, Tennessee (October 12, 2016) Grammy Nominated Southern Gospel powerhouse Karen Peck & New River was honored at last night’s 47th Annual GMA Dove Awards. The popular family quartet took home two trophies at Gospel music’s biggest night. The group won its first Dove for Southern Gospel Artist of the Year during the pre-show, and later in the evening won Southern Gospel Recorded Song of the Year for their #1 hit single “I Am Blessed”. Group founder and namesake Karen Peck Gooch won an additional trophy for co-writing “I Am Blessed” with critically acclaimed writers Kenna West and Michael Farren. Karen Peck & New River was also honored to be a featured performer during the program’s main show. The group was featured on the song “Amazing Grace” during the Gospel Music Hymn Sing portion. Other performers featured during the segment included the Isaacs, Greater Vision, the Kingdom Heirs, Joseph Habedank, and more. The trend-setting group has won a total of six Dove Awards in its storied career. Most recently this year, the group’s critically acclaimed recording Pray Now was nominated for a Grammy Award and won Album of the Year at the Absolutely Gospel Music Awards this past April. The group will be returning to the studio to record the follow-up album soon. 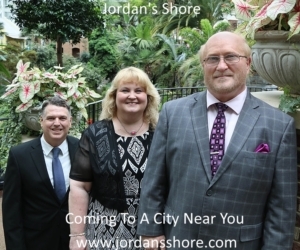 The group’s current single, “Calling”, recently spent two weeks in the #1 spot on the AbsolutelyGospel.com Top 40 Weekly Chart, the Southern Gospel industry’s most watched weekly chart.